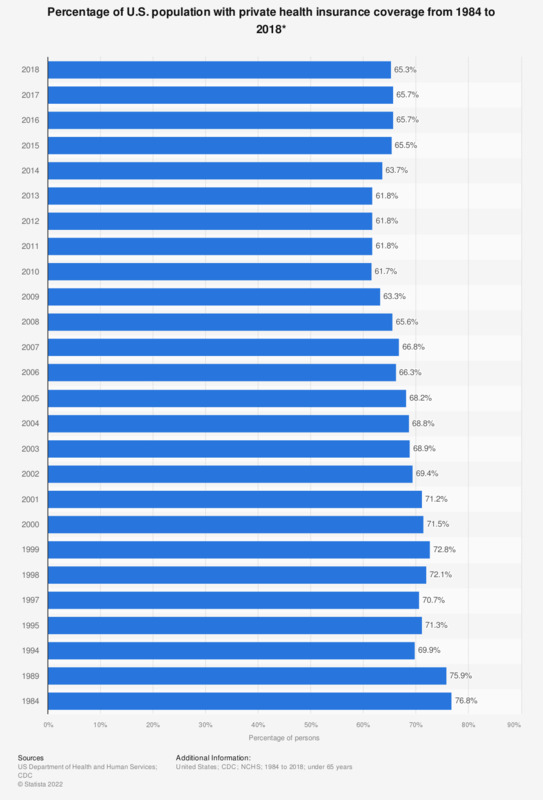 This statistic shows the percentage of persons under 65 years in the U.S. with private health insurance coverage from 1984 to 2016. In 2016, approximately 65.7 percent of the U.S. population under 65 years of age had private health insurance coverage. Data prior to 1997 are not strictly comparable with data for later years due to the 1997 questionnaire redesign.